You are about to learn the secrets that have held you back. Why is it that you feel you are as talented and smart as the top earners in your company, yet you cannot figure out why your team is not growing nearly as fast? Do you get frustrated when 9 out of 10 people recruited into your team quickly head out the back door? How badly do you want to be one of the biggest leaders in your company getting all the awards and big checks? The bigger the leader, the bigger the income. If you want to influence people and lead a massive army in your business, then investing time to develop your influencer skills is mandatory. You will not just wake up one day and discover you suddenly have influence given to you by the tooth fairy while you were sleeping. You have to learn from the best influencers in the game. I led a 6-hour training event this past spring that will go down in history as the most incredible training events I have ever done … largely because I joined forces with one of the greatest network marketing leaders of all time in the industry. If you don’t know Darnell Self yet, brace yourself! Sometimes you have to seek and seek to finally find the person(s) who have the missing numbers in your combination lock to open your vault of success. This is it, friend! The training we did on that day was so impactful and so transformational that I wanted to share it with every network marketer in the game.
" ... How many of these problems would you like to see solved?" Why are people quitting your team? Why are people not plugging into the system? Do you have a simple system that is easy to follow? How do you transition people into becoming independent leaders? Why do people not do what you ask them to? How do you gain more influence with people? How can you get 100’s then 1000’s of your team to the convention? How will you get duplication 20 levels deep? What do you do when you feel like you’ve plateaued? How do you save downline members from quitting? What is the best path to go full time? How do you weave personal development into your culture? Where should you invest money into your business? What incentives work best to motivate your team? How do you become the leader that others choose to follow even before you're making any serious money? Do you find leaders or develop leaders and how? How do you create a winning environment where your team desires to win no matter how long it takes? How do you develop and nurture the patience of your team? When do you stop working with certain teammates? How do you duplicate leaders? How much would it be worth to your income if you could learn the answers to these questions? This course will give you six solid hours of some of the most intensive, deep-dive information on building a solid network marketing business that you'll ever find anywhere. I've broken these down into easy-to-consume modules. You can now take in the information on a specific skill set and start to apply it right away. Just imagine immediate results after listening to and applying Module #1... and then again with each new module. ... but for you to FULLY appreciate its power, you'll need to understand WHO is bringing you this training. So who is Darnell Self? I think he is THE BEST out there. Period. Darnell has built a prolific team of over 300,000 … And many consider him the G.O.A.T. leader in our industry. He has the highest integrity, and unreal ability to build highly productive teams. He has taught some of the top earners in our profession. 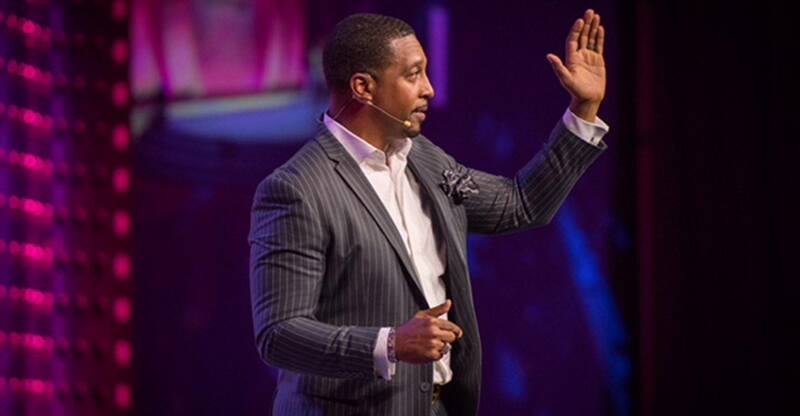 Darnell is amazing at leadership, specifically in our network marketing game, and loves teaching on how YOU can learn the skills to attract, retain, and grow leaders like never before. This means you will learn how to build a massive downline team, and turn that into a loyal family who will build with you long into the future.. Averaged 1 new Millionaire Club Member for every year he's been in Network Marketing--23! ... and who am I (Brian Carruthers)? So you want to recruit more!? Nobody in all of network marketing recruits more than me (just sayin’...!). I spent 20 years as a full time network marketer, building a team of over 400,000 people (and over 2 Million customers). I decided in 2012 to come out of the cocoon of my own company and become a “Foster Mentor” to anyone in the entire network marketing industry who is interested in having some extra mentorship from a completely third-party, unbiased entity. I tell you about our accomplishments not to impress you but to help you understand why OUR success in this industry can help propel YOU to greater heights! Do You Want To Learn How to Make Six or Seven Figures a Year? There are lots of events out there — some really, really good ones — that talk about network marketing in broad brush strokes. They'll inspire you with stories of successful networkers and will even throw in a motivational speaker or two to get you really pumped up. But I can tell you from experience that there's a huge lack of information that will actually give you the practical HOWs that you need to run your everyday business. That's where this training differs from everything else out there. Also, Darnell and I are out there doing it! We didn't used to be in network marketing and used to be top earners in our companies — we're doing it NOW! We lead our teams, we personally recruit every month, and we chase after company incentives. We're not giving you theory based on what it was like in network marketing 10 or 15 years ago; we live in the day-to-day realities of running our network marketing business today! This focuses on 2018's realities presented to you in a way that makes sense and will absolutely help you move your business forward with greater urgency than ever before! The Network Marketing Leadership Academy will give you and your team everything you need to push past the boundaries of your comfort zone. You'll be stretched, challenged, motivated, and empowered to take your network marketing business to levels you never dreamed possible. Purchasing this program NOW will get you these Phenomenal BONUSES! If you want to be a leader who wants to attract people, you're going to have to be able to speak well. You'll need to speak on stages, on conference calls or Zooms, and in a variety of public settings. When have you ever had this kind of training in this industry? 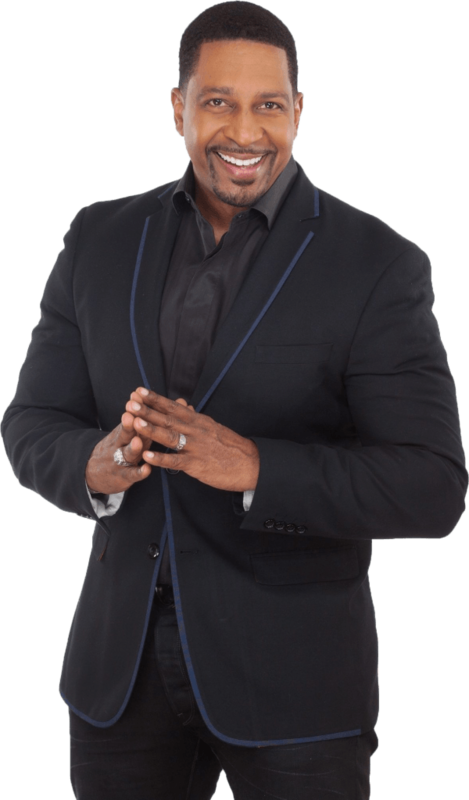 During this powerful training, Darnell Self — who I believe is one of the absolute best speakers in the entire network marketing profession — will help you Become a Masterful Speaker. You could spend months and $1000’s going to speaking courses, but they will never be able to help you learn how to speak and carry yourself in our particular network marketing space. THIS training is going to make you 10X better than you’ve ever been as a leader. I truly believe this bonus training alone is worth the price of this entire NMLA program! * It will never be made available separately either, only NMLA owners will be able to see it. 3-Way Calling is the #1 most critical activity that leads to recruits joining, and leads to duplication and exponential growth. This training video will teach you what, why, when, and how… word for word, step by step. And I give you my incredibly effective closing line I use on every call that seals the deal better than any other! 90 days of followup LIVE COACHING with Brian & Darnell! "I’m very grateful for you and Mr. Darnell Self for providing a powerful learning environment for those of us in the industry. Content and delivery of the information was phenomenal. I feel very empowered to attract prospects, lead my team and develop leaders." "This event was worth more than I would have had to spend for a four-year college. The Network Marketing Leadership Academy is perfect for network marketers." "I have been in MLM for 5 years now and you both opened my eyes about myself, and it was what I needed to snap me out of this rut I put myself in." "This course was worth every single penny ... and much more." "Brian and Darnell were so meticulous in delivering the material where it could be taken to heart." "Terrific event. Sweeping in its scope, granular in its detail. Thank you Brian and Darnell!" "I’ve been learning from Brian for over 4 years now and the impact has been incredible. This academy was an essential experience I needed, to further sharpen my skills." "I have been under the Mentorship of Mr. Carruthers for the last 2 decades and his Leadership Academy thoroughly conveyed the Fundamental & Leadership principles and practices that have helped me build a World Class International Business. " "The training at the Leadership Academy was absolutely phenomenal! In my 6 years in network marketing, this is the best training I've ever seen regarding leadership and building a massive team. The training has definitely made a difference in helping me take my business to a whole new level!" The Network Marketing Leadership Academy is only $397 ! This includes all 6 training video modules, downloadable audio files, and all three Launch Bonuses! Don't miss this opportunity to SAVE BIG, and gain full access to all the training modules as well the BONUS training modules. Order Your Academy Access NOW! Please Note: Because this is an online course with downloadable materials, all purchases are non-refundable and are considered final.